Online retail behemoth Amazon launched the UK version of its iPhone app this week, allowing users to search and shop from their mobiles. This ‘experimental feature’ makes use of the iPhone’s camera and allows you to take snaps of items you see to build up a visual shopping list. Simply take a photo and Amazon will try to match it with an item from its product range. If it can find a matching product straight away, it will show you it via the app, otherwise it will be emailed to you once found. A useful feature, especially if you are out shopping and want to get a quick price comparison. The app has five menu options along the bottom, so you can access the search tool, review your basket, use Amazon Remembers, or else see help and T&Cs under the ‘more’ heading. Unless the item you want happens to be bookmarked already, or is picked out as one of the items that have been recommended for you, then you will need to use keyword search, there is no option to browse by department, as on the Amazon mobile site. 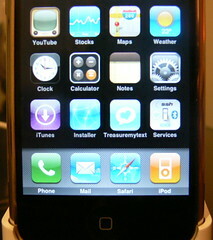 In this search for an iPod Touch, there are still 3,437 related products and no further filtered navigation options, with screen protectors and other accessories are all mixed up in the results. This means shoppers have a lot of work to do to find the one they want. The basket page provides an easy way to review and edit the products you have chosen so far, while the checkout, crucially, has been optimised for a mobile screen. The process is very simple and streamlined, though the message to ‘tend to the matters in red’ implies that you have made an error, when in fact you haven’t had the chance to enter your address details yet. Perhaps a more elegant way to communicate this information would be better, reserving the red text for genuine errors. This aside though, the checkout process works well and, importantly for mobile users, doesn’t ask for any unnecessary details. Added to this, the saved address and delivery details reduce the amount of data input required from customers. 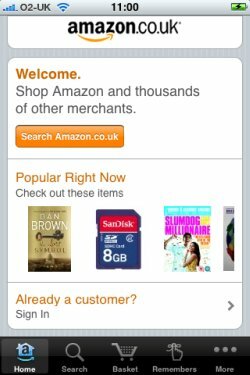 The Amazon iPhone app is an excellent example of a mobile commerce site, and the Amazon Remembers feature make it that bit more useful. Some decent filtering and sorting options on product searches would save some pain for consumers, but it works well otherwise, and should be a successful app. If eBay can generate $380m of sales through its mobile channel, with the majority through its iPhone app, how much can Amazon make? The internet is arguably the most powerful tool for generating leads the business world has ever known. Using little more than HTML forms, it’s possible to set up a simple mechanism for generating leads on a website and thanks to cost-effective internet advertising options, reaching an audience of potential customers has never been easier. But even given these things, generating quality leads online isn’t always as easy as it looks and a lot of leads are lost because the forms and web pages designed to generate them are poorly implemented. Here are eight tips for making sure you’re maximizing your lead gen conversions. Will in-app purchases for free apps lead to a second iPhone gold rush? If you’re an iPhone app developer, free versus paid can be a difficult decision. Notwithstanding widely-publicized success stories, most free apps don’t make any money for their developers. One solution: use a free, watered-down version of your app as promotion for a paid version. The freemium model does work but it’s hardly perfect. The problem: Apple doesn’t offer a way for app users to easily upgrade from a free version to a paid version. Developers have to create two different apps and app users have to install both.